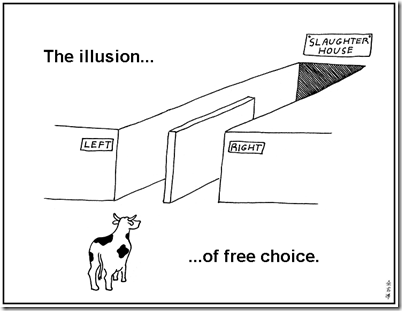 If Free Will is an Illusion…. Here is a question then for the militant atheists: Why try to convince anybody that atheism is the correct position to take, since deciding whether to accept the arguments against the existence of God surely requires free will. If Free will is an illusion, we have no say in what we believe, nor, for that matter, do atheists. Presenting, say, a young Earth creationist, with scientific evidence that the Earth is 4.5 billion years old, presupposes that the young Earth creationist can freely decide to change her opinions on the basis of evidence. I agree. Arguing would be pointless. Militant atheists and militant theists have a lot in common. Each feels driven to subjugate the other’s “free will” as exhibited in holding of beliefs that are plainly wrong. But if there is no free will, neither atheists nor theists have any choice in what they believe. I say so many stupid things that I have a vested interest in there not being free will. You might have a point with the idea that our tendency to say dumb things shows lack of free will, Alan. Donald Trump certainly seems to believe he doesn’t have free will. I heard him say the government forced him to use low paid foreign workers in his hotels; that Ted Cruz started the fight over whose wife was better looking, and: that, while he would like to move on to other subjects, other people keep forcing him talk about the size of his hands.